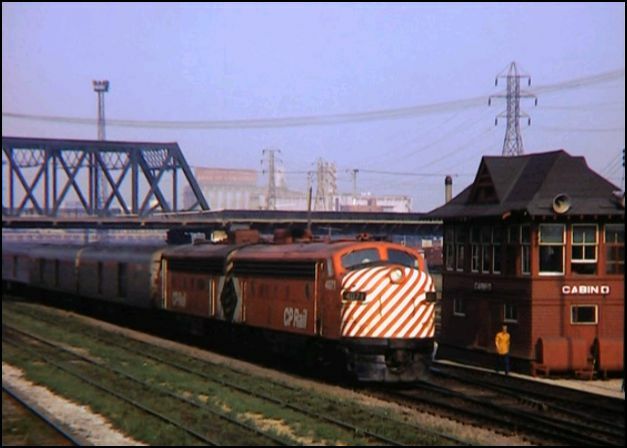 Emery Gulash was one of the most notable train cinematographers ever. 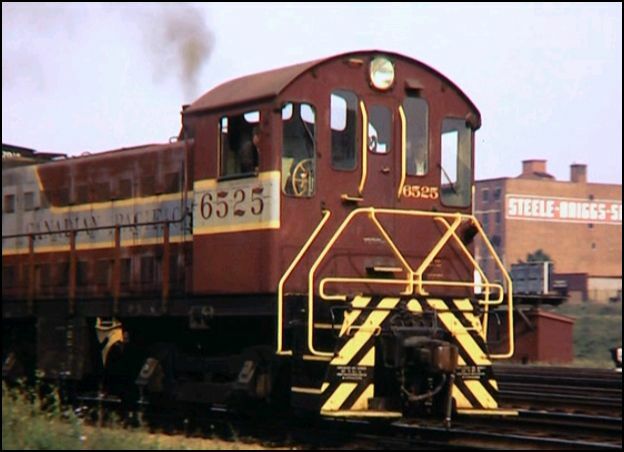 His vast collection of color 16mm films contains many classic railroads. He was fortunate enough to be able to travel extensively in an interesting era for trains. This show originates at Toronto in the early 1970’s. Green Frog Productions have produced a fine selection of Emery filmed shows for decades. This release was a surprise. Emery and his friend Walt journeyed to Toronto for a few days of filming the action near Toronto’s main station. 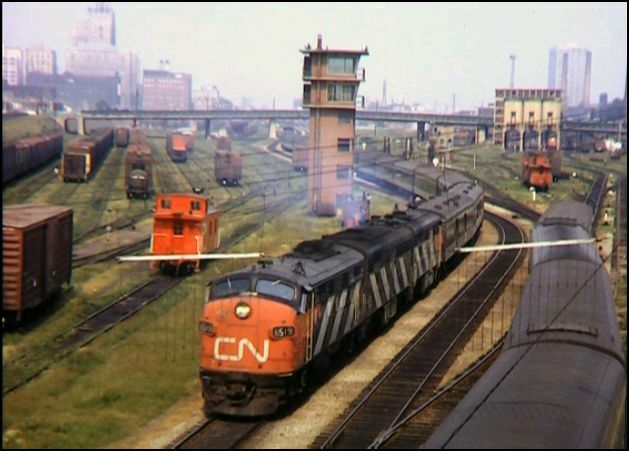 Canadian National and Canadian Pacific are the headliners in this show. GO and a bit of Ontario Northland are also here. Peter Youngblood narrates the tightly scripted program. Many details about operations and equipment result in an informative show. 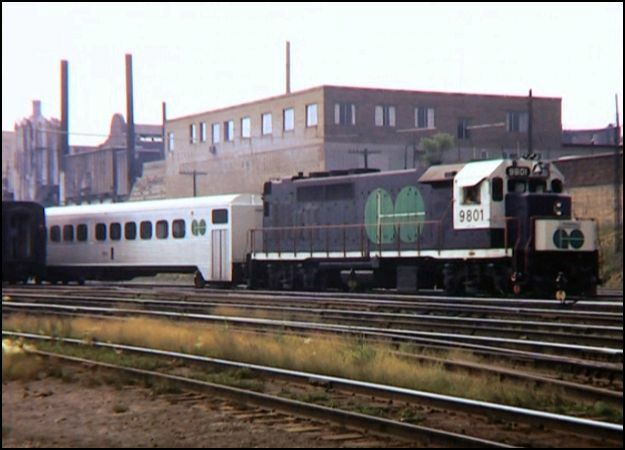 A specially modified MLW RS18 powers a passenger train between Toronto and southern Ontario. This fleet sported a unique livery, as seen here. 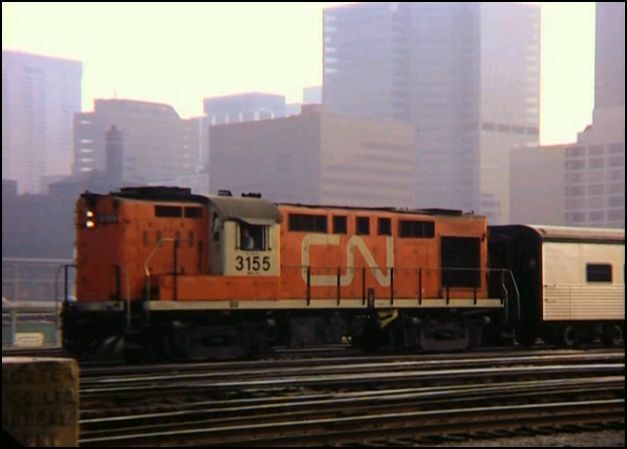 This shot with the RDC set has some of downtown Toronto. The area seems to be miles long. 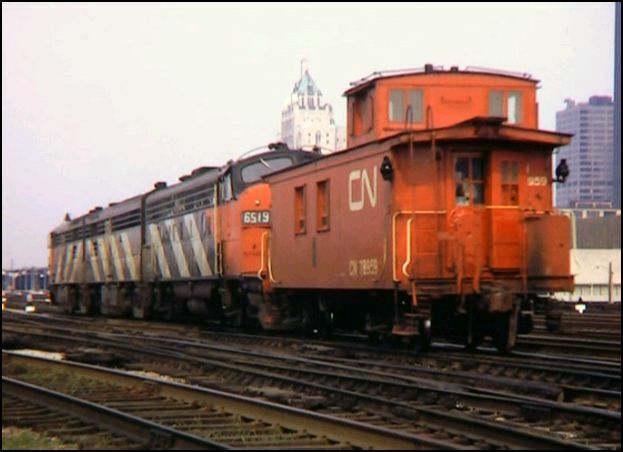 Locations vary and Emery comes up with a plethora of classic Canadian trains. Some hazy weather is present. Camera is smooth and professional. All color on gorgeous 16mm film. Green Frog is commended for their state of the art digital production. Emery recorded sounds trackside as well. The soundtrack sounds good. 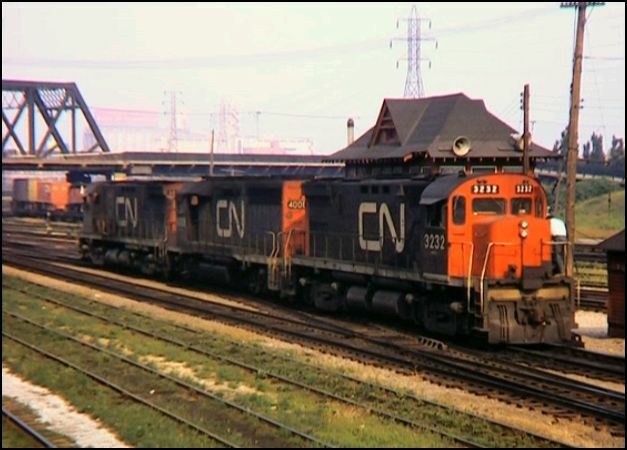 CN 3232 returns with a light engine move at Cabin D. Earlier, these babies were hauling freight. Canadian National’s Super Continental. It’s long summer consist departs Toronto. This scene captures more of the vastness of the rail network, in the Toronto vicinity. 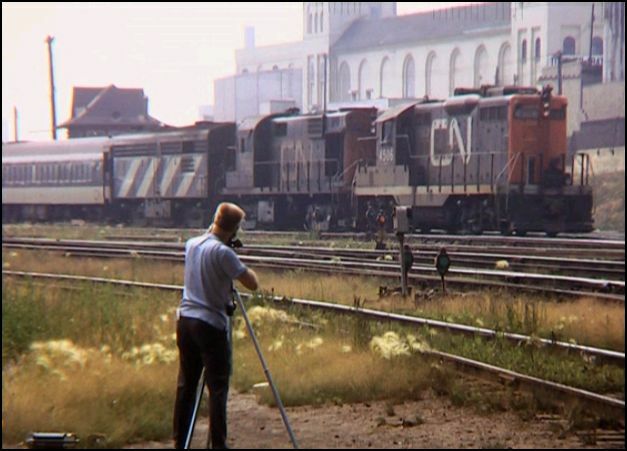 A salute to many of the railfans who were shooting trackside. To be Walt Sardinha alongside Emery back in the day. How cool is that? Government of Ontario Transit. Commonly referred to as GO Transit. This odd locomotive is a GP40TC. 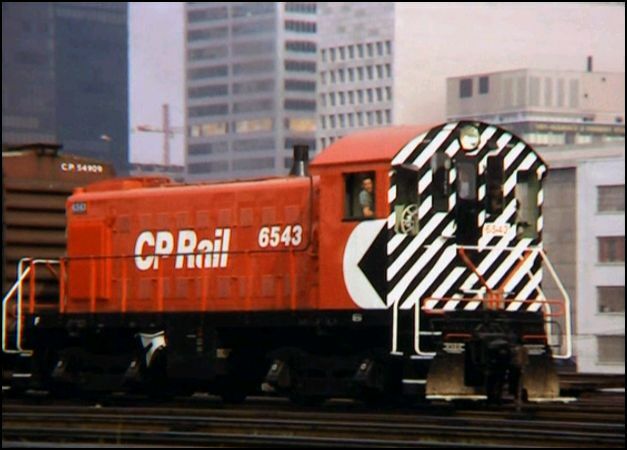 Some earlier paint schemes are seen on Canadian Pacific. The Pacman livery was new. 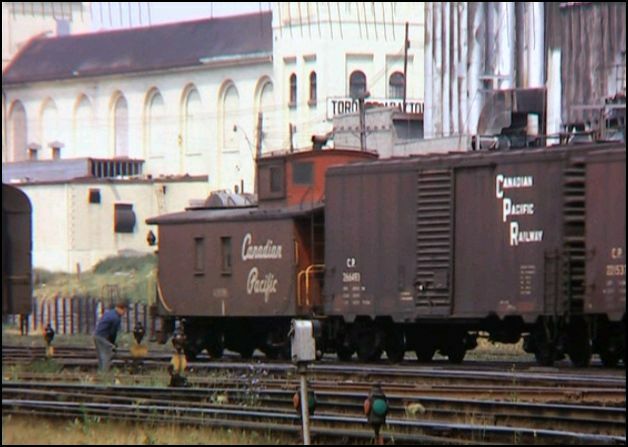 Canadian Pacific, with some wonderful, old 40 foot boxcars. At Cabin D, all switches are hand thrown. Dedicated switchmen await orders, via a loudspeaker system. Hey, I waited all day to get the word via into this review. That’s right, this predates those VIA trains. Canadian National with a pretty as picture money shot from Emery. TrainTown Toronto is a highly enjoyable visit to the past. An excellent assortment of passenger and freight train action. Plenty of Canadian rarities that will satisfy everyone. Although Emery Gulash has passed into history, his work lives on. There are many fine titles featuring his great cinematography. In fact, Green Frog has been remastering those shows. 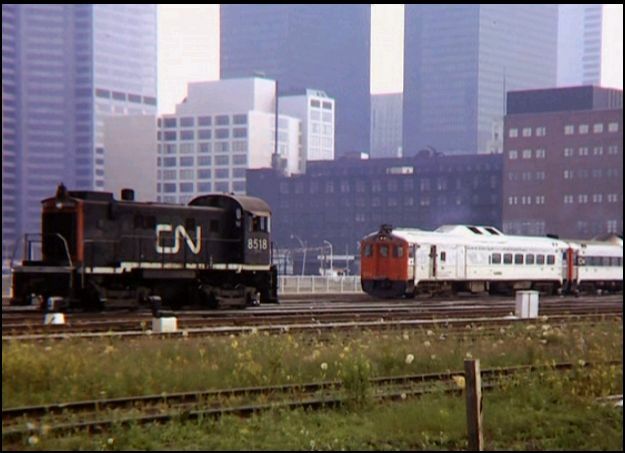 As far as TrainTown Toronto…. It is as fantastic as the rest. A must have for vintage railfans. This entry was posted in Green Frog Prod. 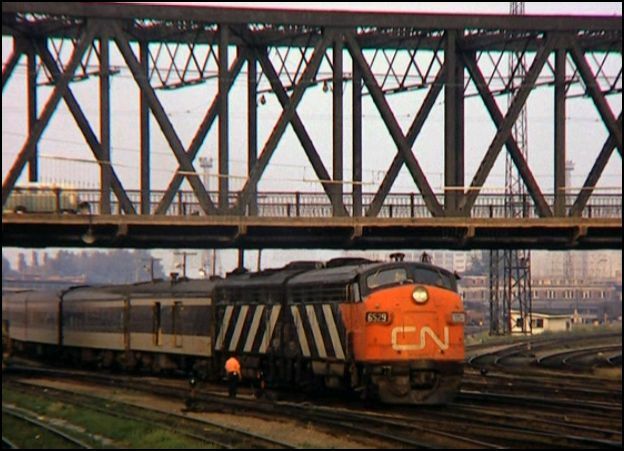 and tagged American Train Video Reviews, Canada, Emery Gulash, new releases, Railroad, Train DVD, train video reviews, transportation by William J. Hudson. Bookmark the permalink.